Rocking the stubble look is one that many guys seek to pull off year after year. Having a rock solid set of stubble on your face is a timeless look that doesn’t show any signs of dying off anytime soon at all, but as good as it looks, sandpaper stubble is straight up annoying — especially to your sweetheart when trying to give her a bit of sugar. 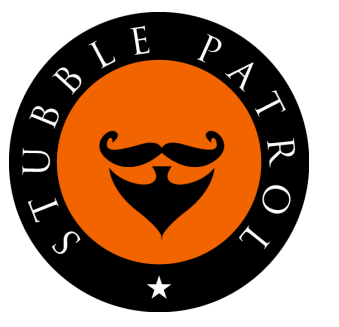 If you face this problem and want to know how to make your stubble soft, you’re in the right place. Guys everywhere seem to constantly be searching for how to soften stubble on their face, but a concrete answer to this dilemma is noticeably absent. Men have been asking this question for ages, and the fact that we don’t have a wide-known answer to this is honestly quite shocking. As such, we’re of course ready to do something about that once and for all. Right off the bat, this first tip may seem a bit odd to some of you out there. Applying shampoo or conditioner is something that’s typically reserved for the hair on your head, but there’s no reason you shouldn’t be using it on the hair on your face as well. When looking for a quality shampoo to clean up your stubble, try to find something that’s a bit on the milder side of things and won’t be too rough on your skin. There’s considerably less hair on your face than there is on your head (especially with stubble), and as such, getting a shampoo that features exfoliating properties will go a long way in not only cleaning your stubble but making the skin underneath refreshed and clean as well. I highly recommend the Ranger Grooming Beard Shampoo (available on Amazon). While the shampoo will keep your stubble clean and healthy, a trusty conditioner is what will really help to make it extra smooth and soft to the touch. The result you see here isn’t quite as drastic as what you’d find when applying conditioner to a full-on beard, but there’s still a noticeable enough difference for us to recommend this tip. In regards to picking out the kind of conditioner you want to use, this is an area where you have a lot of freedom to pick something that you think will work best for you. A lot of guys stick to conditioners that are made specifically for beard and stubble use, whereas other men are perfectly happy using a more common conditioner that’s technically made for use with your head hair. There’s not necessarily a right answer here, so we’ll let you be the judge of exactly which conditioning product will be best for you. When trying to achieve a smooth set of stubble, one of the questions that seems to pop up the most is how to soften beard stubble naturally. There are some techniques out there for getting a soft set of stubble rather quickly, but they require the use of harsh chemicals that really have no place being anywhere near your skin at all. Enter beard oils. I recommend the Honest Amish Beard Oil (available on Amazon). Beard oil is typically made out of nothing but pure and natural ingredients, and it’s because of this that we strongly recommend using it when trying to achieve a way soften up your stubble. And yes, even though we’re talking about stubble and not a full-length beard, beard oil can still kick out fantastic results when applied to shorter facial hair styles. There are a lot of different beard oils to choose from, but at the end of the day, all of them serve the same general goal of making your facial hair smooth, hydrated, refreshed, and clean. Carrier oil is the start of the show for the majority of beard oils out there, and along with all of the benefits I just mentioned, this oil can also help to promote the reduction of acne or eczema on your face as well (especially when combined with other essential oils). While some of the benefits that you get from beard oil may sound a tad redundant when compared to what we just talked about with the shampoo and conditioner, is that really a bad thing? Having multiple products that all serve the same purpose of making your stubble soft and smooth may seem like overkill, but in this case, they all come together to create for shockingly soft and smooth stubble. When talking about stubble, one of the most iconic looks for this style of facial hair is the 5 o-clock shadow one. We understand that this is one of the most common and attractive looks out there when it comes to growing stubble, but it’s also the most irritating when it comes to how sharp it is. You see, a 5 o’clock stubble requires that you cut your hair extremely short. The look of this is favorable by a lot of guys, but the shorter your stubble is, the sharper and more painful it’s going to be for your girlfriend or wife. If you’re okay sacrificing the traditional 5 o’clock appearance just a bit and allowing your hair to grow out just a touch more, you can still have a solid stubble appearance while also allowing your hair to be a bit longer and softer to the touch. For the best combo of a great look and maximum comfort to your lady when kissing and other activities, cut your stubble at a minimum of 1/4-inch of a length. Allowing your hair to grow this long is something that not all guys with stubble will be okay with doing, and while you can certainly make it softer than it currently is with the previous two techniques we outlined, this is probably the most effective way to make your bearded face as soft as it can be. And with that said, those are 3 of the best tips we can suggest if you’re trying to figure out how to make your stubble soft. 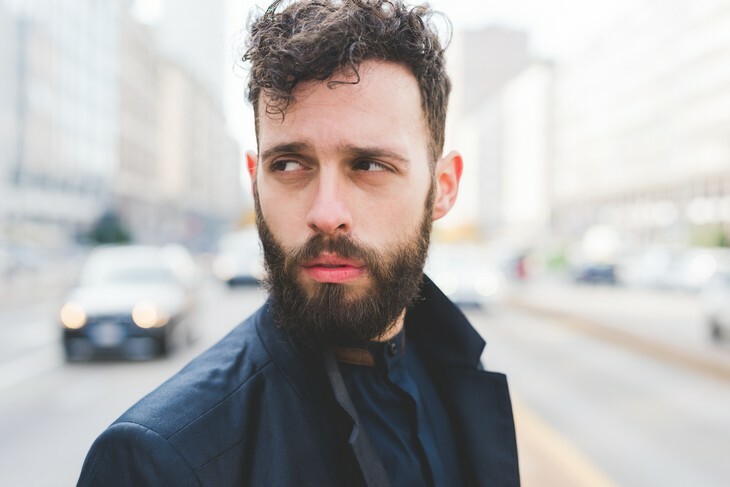 A lot of this breaks down to dedicated and regular care for your facial hair, and if you’re willing to go the extra mile, allowing your hair to grow out a bit longer will provide for some awesome results as well. Try out all of these tips to see what works best for you, and no matter if you use just one of them or all 3, we guarantee a softer face for sure.